Have you heard of Shopee? No? Whyyyy. Go whip those phones out and download the app. Like now. Please? Hehe. You won't be disappointed! 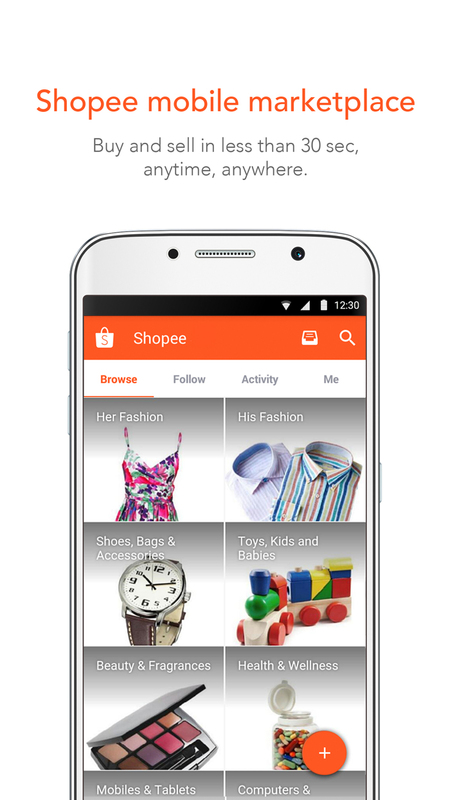 Shopee is the newest mobile shopping app that's fun and easy to use. Here are photos from the official launch! Shopee Philippines launched in June 2015 and has since connected thousands of buyers and sellers to each other. It answers the many issues online buyers and sellers are faced with today like unresponsive buyers/sellers, unpaid items, and simply unreliable listings that results in unsuccessful deals. Plus, Shopee is completely FREE! There are no registration fees or commission fees that Shopee charges. Shopee is bringing the mobile shopping revolution to the Philippines, with its easy-to-use and safe mobile marketplace. It is a platform where users can buy and sell online at no extra cost. Anyone can be a seller on Shopee. From pre-loved items to brand new stocks, users can quickly set up a shop by signing up for an account, snapping photos of their products, and uploading it, then setting the price and shipping fee. For sellers who have an existing online shop on Instagram, they can benefit from the Instagram Import feature to upload photos from their Instagram feed to their Shopee account. Buyers and sellers are also covered by the Shopee Guarantee, ensuring each party protection from fraudulent transactions for all deals completed online. Buyers are assured to receive their ordered items, while sellers are assured to receive payments due to them once. Shopee recommends transacting within the app and making payments through Shopee Guarantee accounts in order to be protected by this feature. Jon aka Kumgcow won the Instagram contest! After choosing and checking out, we just filled up a BDO payment form and voila! Paid! Makeshift bank at the event. Galeng. Got a cute striped dress from @mariaclothing! Also got this super cool Iphone flash drive for just P2800 from Shopee! Got it after 1 day! Wow!